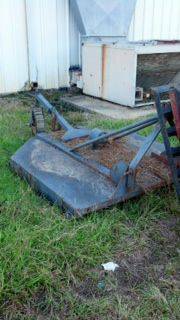 Five foot bush hog in good working condition. Deck is rusty and has some rust through. Blades could stand sharpening. Shaft doesnt go with it. Will help load. 7.5 foot belt drive. Has new belts and tires. Also have an extra set of belts. Cuts good. Every thing works as it should. 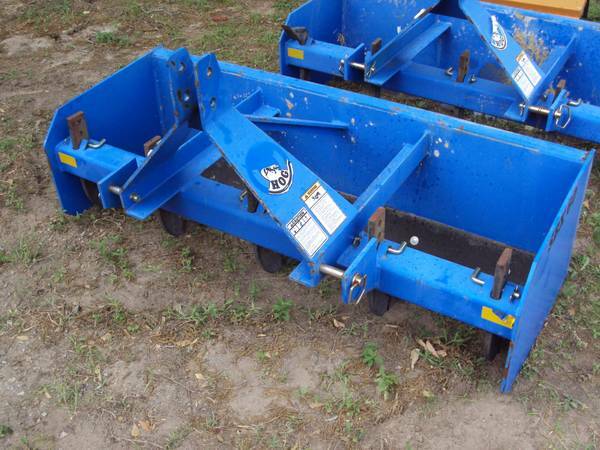 May trade for plow,disc or box blade. 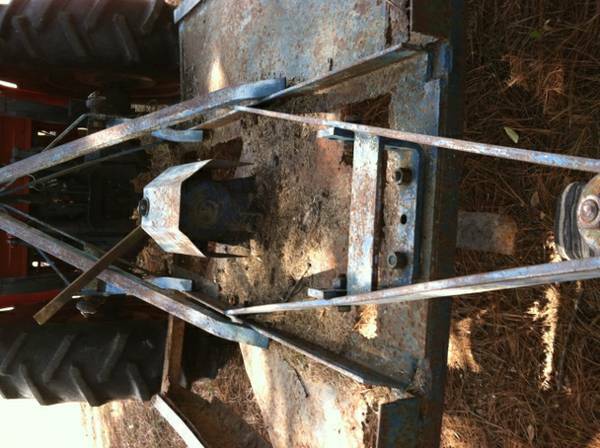 Hardee 5 foot bush hog no leak gearbox and low time blades. Cuts well as is. 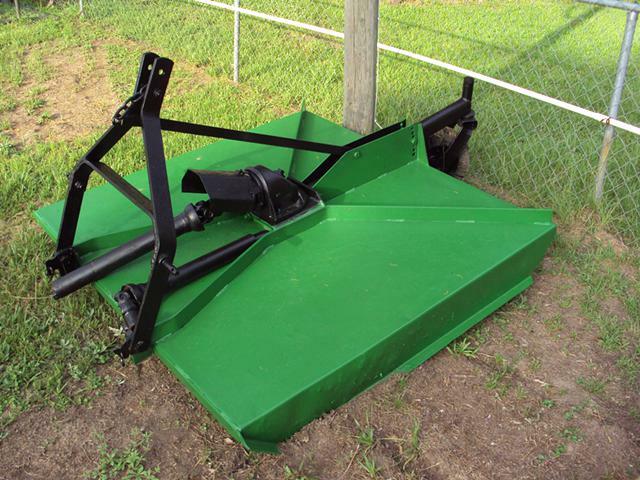 Bush Hog $500 Plow frame $100. 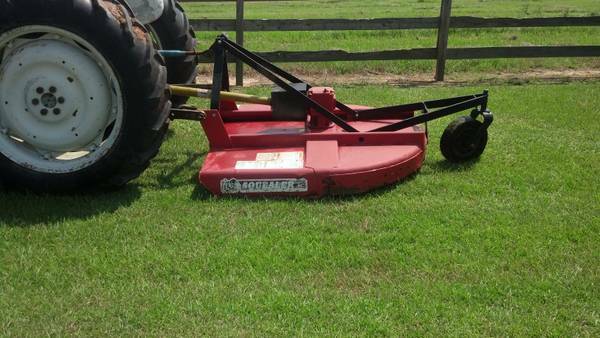 I am selling this bush hog for my cousin. 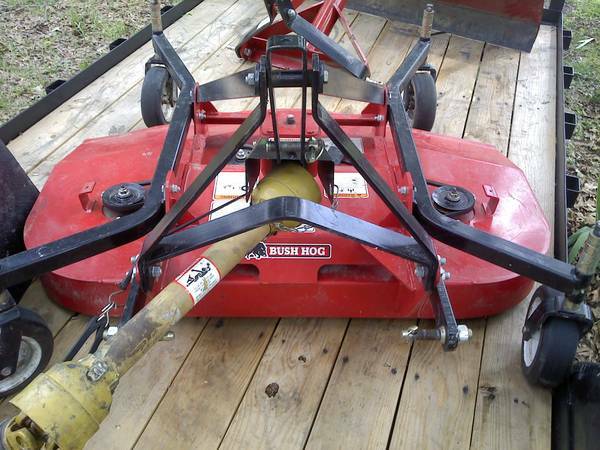 It is a Bush Hog brand, I believe, but I am not certain. It is in great condition. 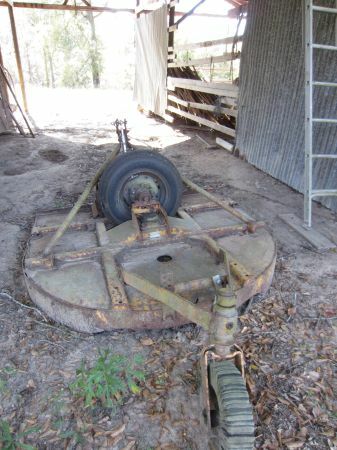 Stored in barn and has not been used in several years. 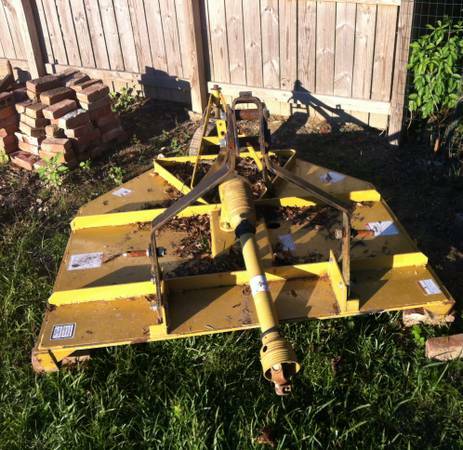 5 foot Bush HogLittle rusty but it works great Must be able to pick up, our tractor is out of commission. 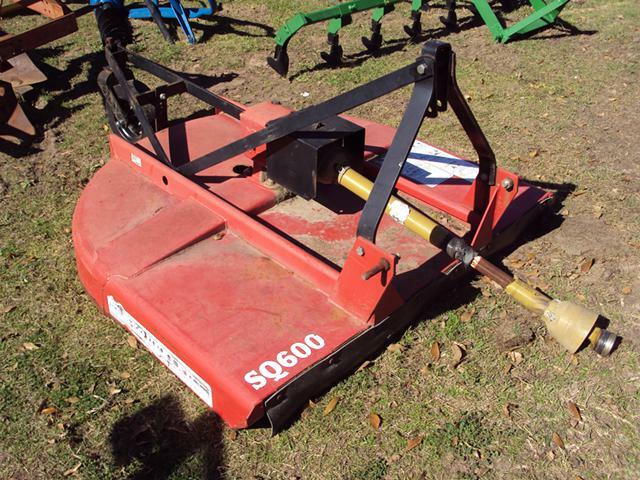 I have a 5 foot Bush Hog Rotary mower for sale. It has a shear bolt for driveline protection. The deck has some rust on the front of it but it does work. I am asking $475 for it. 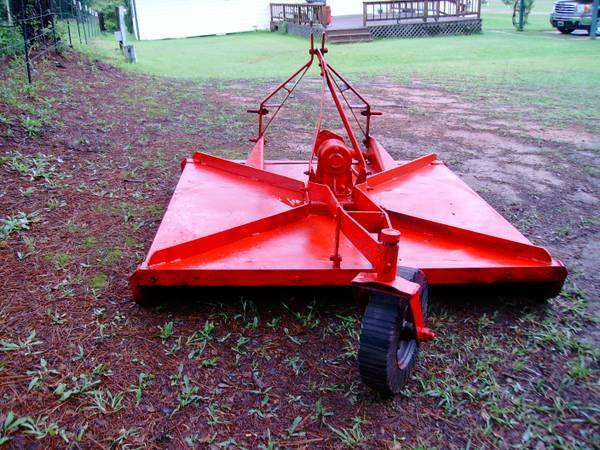 I have a 5 foot Bush Hog Rotary mower for sale. It has a shear bolt for driveline protection. The deck has some rust on the front of it but it does work. I am asking $475 for it. Please call for details.